1. The first General Congregation took place in 1558, delayed for two years after St. Ignatius’ death by a war between King Philip II of Spain and Pope Paul IV. 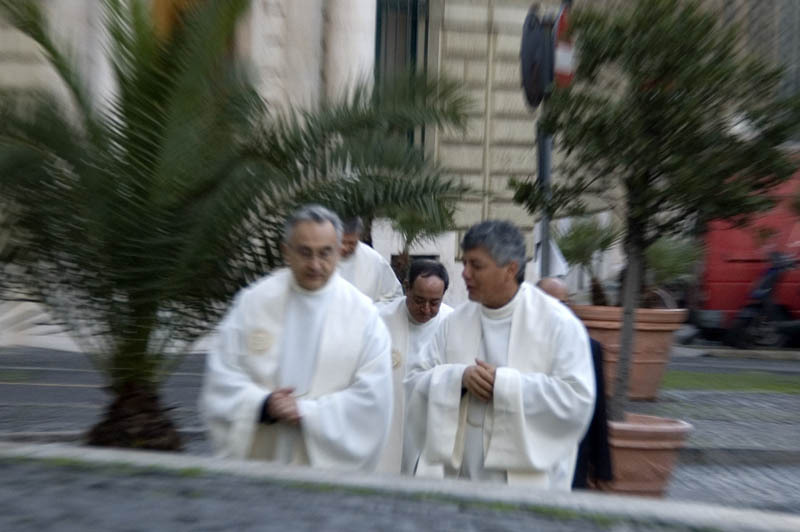 Father Diego Laynez was elected Superior General. 2. The fourth congregation in 1581 elected the youngest Jesuit general: 38-year-old Father Claudio Acquaviva. 3. Fr. Acquaviva served as Superior General for 34 years — the longest term in Jesuit history — and presided over three congregations. 4. The sixth General Congregation made obligatory a daily hour of prayer and an annual eight-day retreat for all Jesuits. 5. Given the variety of cultures and circumstances in which Jesuits have lived and worked, differing views have sometimes made for lively debate on major and minor issues alike, from interreligious dialogue to Jesuit formation to how long a cassock should be. 6. General Congregation 10 is the only one to have elected two Superior Generals. Father Luigi Gottifredi was elected first, but he died before the congregation concluded. The same group then elected Father Goswin Nickel. 7. The 20th General Congregation (1820) was the first one held after the Society’s restoration in 1814. Greatly concerned that the Society be the same as before the suppression, it reinstated the decrees of all past congregations. 8. The 31st congregation took place during and after Vatican Council II and elected Father Pedro Arrupe as general. GC 31 dealt with Jesuit life and work in greater detail than any previous meeting, legislating changes and updating the theory and practice of poverty. 9. The Jesuit elected as Superior General need not be present at the congregation — but this would be very unusual. 10. When more than 200 Jesuits arrive for General Congregation 36 in Rome in October 2016, there won’t be any confusion about who sits where. It’s decided for them — seating is alphabetical!